Invented by the Danish mathematician Piet Hein, Colour Hex is game set on a hexagonal grid. 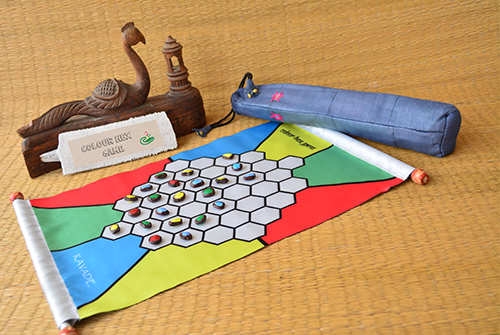 This set is available on a scroll with game rules on the reverse side. Also includes coloured seed pawns.